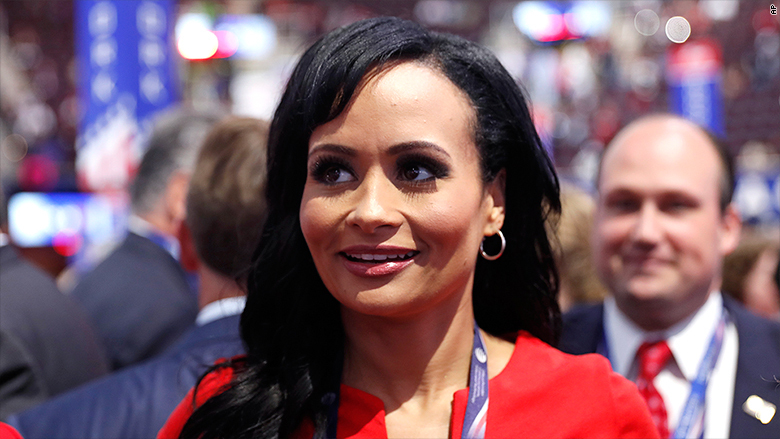 Katrina Pierson, a spokesperson for Donald Trump and fixture on cable news, is seeking a role in his administration, according to two sources with knowledge of the matter. Pierson visited Trump Tower on Tuesday for meetings with members of Trump's transition team. One source said she was there to make her pitch for the role of White House press secretary, while another said she was "looking at a lot of opportunities." Loyalists who were with the Trump campaign since its early days have been frustrated that they have been shut out of top posts in the new administration. Pierson, too, feels she deserves more consideration, according to one of the sources. "I'm at Trump Tower because I work here," Pierson said in an email. "I'm a Senior Advisor for the Trump Transition team. Our meetings are confidential." Pierson was one of the most frequently seen faces on cable news throughout the 2016 campaign, and often drew controversy for making false and inaccurate statements. On CNN, she blamed the U.S. invasion of Afghanistan, which took place in 2001, on President Barack Obama. She also blamed the death of Capt. Humayun Khan, in 2004, on Obama and Hillary Clinton, his Secretary of State. Obama and Clinton did not assume those roles until 2009. Pierson also defended Trump's suggestions that Ted Cruz and Marco Rubio might not be eligible to run for president, and said reporters had "literally beat Trump supporters into submission -- into supporting policies they don't agree with."